A video has been posted online showing a Sukhoi Su-25 ground-support fighter jet crashing in a residential area during a training flight in Russia’s Far East some 70 kilometers from the Chinese border. 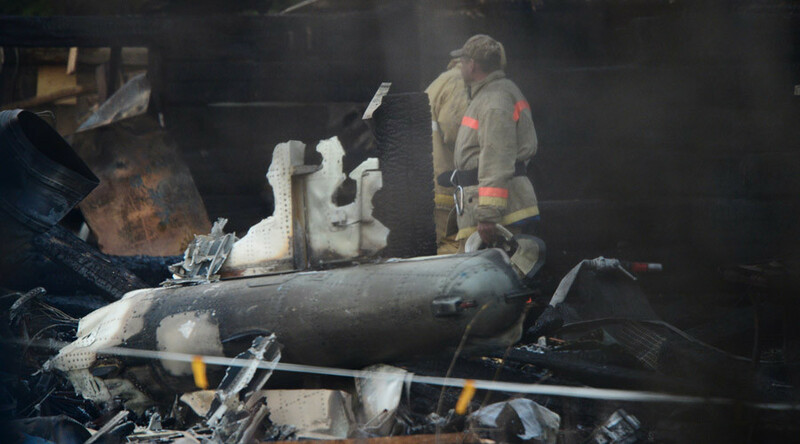 The jet is seen suddenly going down over buildings and a plume of black smoke rises above the crash site. The pilot managed to eject and is safe. The flight was carried out without any ammunition. After it crashed the aircraft caught fire, but local authorities say no one was injured and the blaze has now been extinguished. The regional administration’s press service, quoting vice-governor Aleksandr Los, also says the damage could have been worse if not for the professionalism of the pilot. “At the moment, the fire at the crash site of the aircraft has been completely eradicated. There is no threat to the pilot’s health, he is safe, as are the local residents – all due to the professionalism shown by the man. The owner of the land where the plane crashed does not have any complaints,” the official said. He added that it is too early to draw any conclusions about what exactly caused the crash. The Defense Ministry’s press service reported that a ministerial commission will arrive at the crash site within two to three hours to investigate the incident. 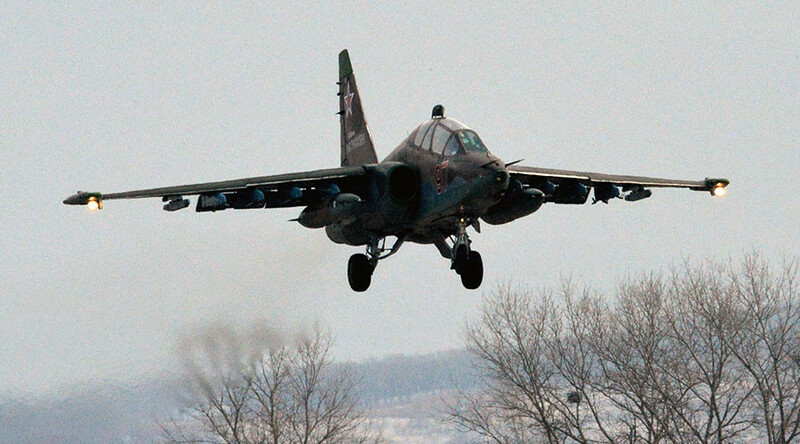 The close-support aircraft, (NATO reporting name Frogfoot) took off from Chernigovka military airfield on a practice mission, but due to engine malfunction it lost speed, altitude and hit the ground. The pilot managed to divert the aircraft from residential dwellings.